Independent candidate for U.S. Senate Angus King began a 600-mile motorcycle campaign ride from Fort Kent to Kittery on Monday. 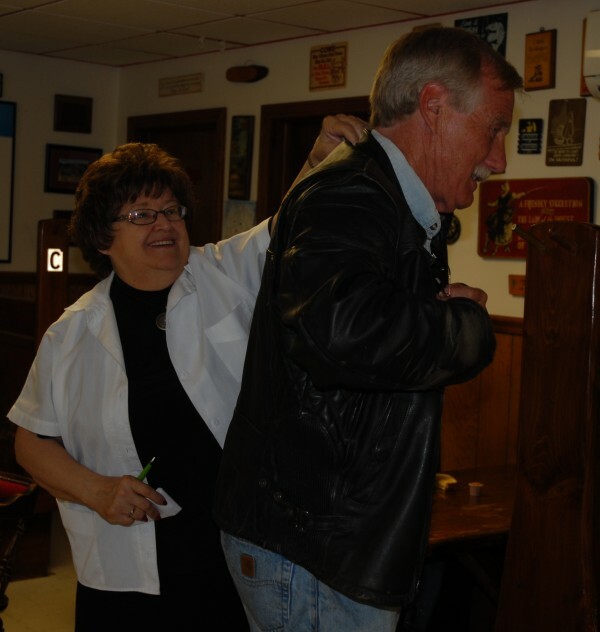 Former Maine Sen. Judy Paradis (D-Frenchville) helps out Angus King as the independent candidate for U.S. Senate stopped in for breakfast at Doris' Cafe in Fort Kent on Monday morning. 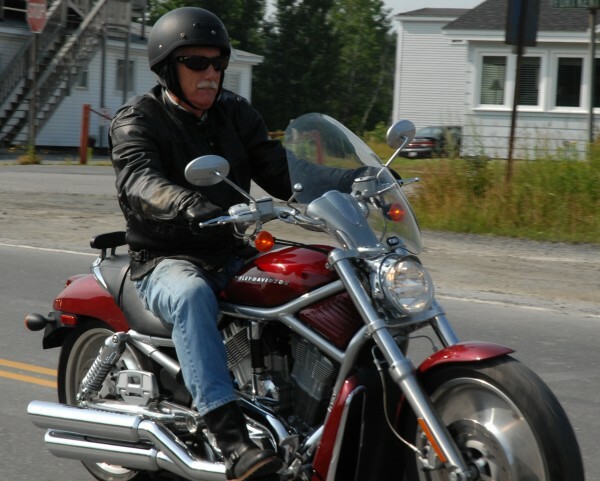 FORT KENT, Maine — In a sort of “Primary Colors” meets “Easy Rider,” independent Senatorial candidate Angus King began a 600-hundred-mile motorcycle trek Monday morning in Fort Kent that is expected to end Thursday in Kittery. King is running for the seat now held by U.S. Sen. Olympia Snowe who in February announced her decision not to seek re-election. King was in Aroostook County all weekend after opening his new campaign office in Presque Isle on Friday and participating in events at the annual Potato Blossom Festival in Fort Fairfield. King has consistently tried to bolster his image as an everyman, despite being significantly wealthier than his opponents in the Senate race. In a March interview with the Bangor Daily News, King refuted the idea that he is an elitist. “I don’t drink wine, I don’t know what brie is, I bowl every Thursday night and my idea of fun is to go RVing,” he said, referencing the cross-country RV trip he took shortly after leaving the office of governor. King is running for the U.S. Senate seat against state Democratic Sen. Cynthia Dill and Republican Maine Secretary of State Charlie Summers. Monday, King roared off on his Harley Davidson motorcycle heading south on U.S. Route 1 along the St. John River on his way to his first night’s stop in Calais. Over the next several days, King’s campaign ride will take him through Down East Maine on his way to Bangor, on to Bethel and ending up in Kittery. Calling himself a “congenital optimist,” King said he has seen first hand what an effective and cooperative federal legislature is capable of doing. King said he wants to bring that spirit of cooperation back to Washington, D.C., noting he decided to run for “the mirror image” reason Snowe is leaving office. With issues like the national debt, health care and the economy high on his priority list, King said he is under no illusions the role he will have or the daunting tasks facing the next Congress.